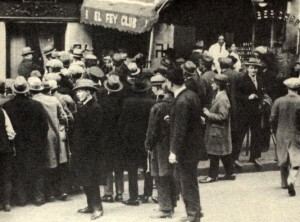 New York during the Prohibition was a lot more difficult and less glamorous than the movies have portrayed. But why go there? In The Roaring Twenties, every element of the New York underworld is portrayed in pitch-perfect movie fantasy. What you wouldn’t realize is that this Hollywood gem is based on the true story of Manhattan’s speakeasy king and queen, Larry Fay and Texas Guinan. 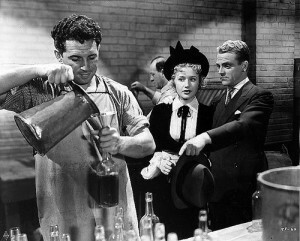 Cagney plays Eddie Bartlett (the stand-in for Fay), out-of-luck after returning from World War I and virtually forced into the gangster business. Thankfully he finds that his foxhole partner George Hally (Bogart) has also entered the illegal booze smuggling business. The two uneasily join forces but soon learn that in the New York underground, your friend one day is your enemy the next. Notable in the cast is Gladys George as Panama Smith the saucy, barely disguised avatar for Guinan. As this is a moralist film, Panama is punished for being a saavy independent business-owner by slowly deteriorating into a needy, washed-up lounge singer that nobody wants. 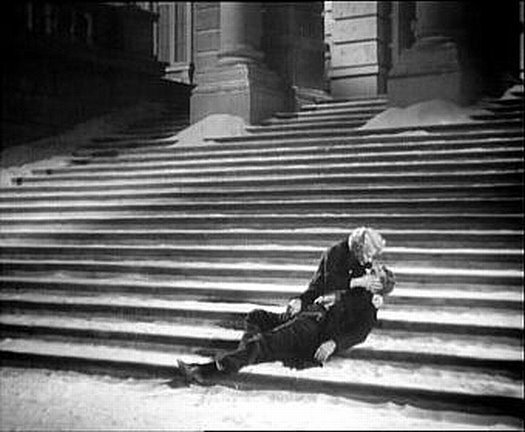 The director Raoul Walsh would later bring Cagney his most defining screen moments in White Heat, and Bogart a few of his in High Sierra. Six years prior to ‘Twenties’, Walsh directed a film called ‘The Bowery’ about the rough and tumble saloon-clogged street during the 1890s. 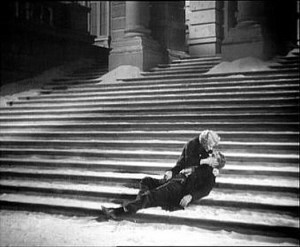 Meanwhile, Cagney and Bogart had teamed two years previous in ‘Dead End’, the movie about a New York slum that brought the world the first appearance of the Dead End Kids, later to rename themselves the Bowery Boys. 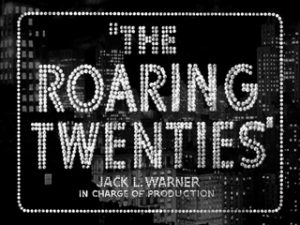 The Roaring Twenties is currently out on DVD and is probably played on Turner Classic Movies about once a month.